PETALING JAYA: For many Malaysians, it is no longer just a game. Desperate parents trying to get their children to kick their addiction to computer games have started to seek professional help for them. At least two psychiatrists interviewed by The Star confirmed that the issue is becoming a growing problem among children and young adults in Malaysia. 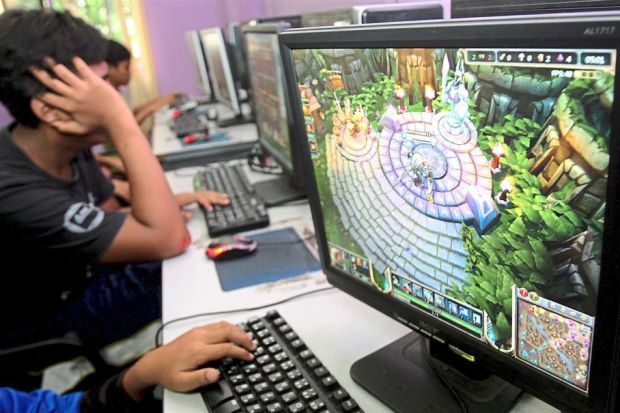 University Malaya Centre for Addiction Science deputy director Assoc Prof Dr Muhammad Muhsin Ahmad Zahari said he had seen five patients, aged 14 to 26, for possible games addiction last year. He revealed that the small number did not indicate the seriousness of the issue as many gamers were unaware of the problem they were having and thus did not seek treatment. “It is potentially a growing problem and there is a need to create more awareness on this. “Otherwise, it can become an illness when these gamers come in late for treatment,” he said yesterday. Dr Muhammad Muhsin said a comprehensive database should be compiled so that medical experts could set up a plan to manage the problem. He said the problem was indicative of a disorder if gamers start to behave compulsively when playing or tend to get into a fight over it. “It can be an addiction if it affects their relationships with other people and disrupts their normal routine,” he added. In one case, a 14-year-old boy went into a rage when his parents cut off the Internet subscription. He smashed the television set and the PC, Dr Muhammad Muhsin said. “If gamers feel that they have used a lot of time or money to play the games, have difficulty resisting it and get upset easily, they should start seeking professional help. “The reasons may be due to the person’s poor attachment to their parents, lack of parental supervision and peer pressure,” he said. Hospital Penang consultant child and adolescent psychiatrist Dr Lai Fong Hwa said with improved Internet access and faster communication, more younger people were playing video games. “There may be a concern that their social life may be affected and they will have problems developing social skills,” said Dr Lai.